I was approached by Caroline Wilson, founder of Belfast Food Tours to re-design her business' online experience. The old website was a basic Wordpress template and was very text heavy. 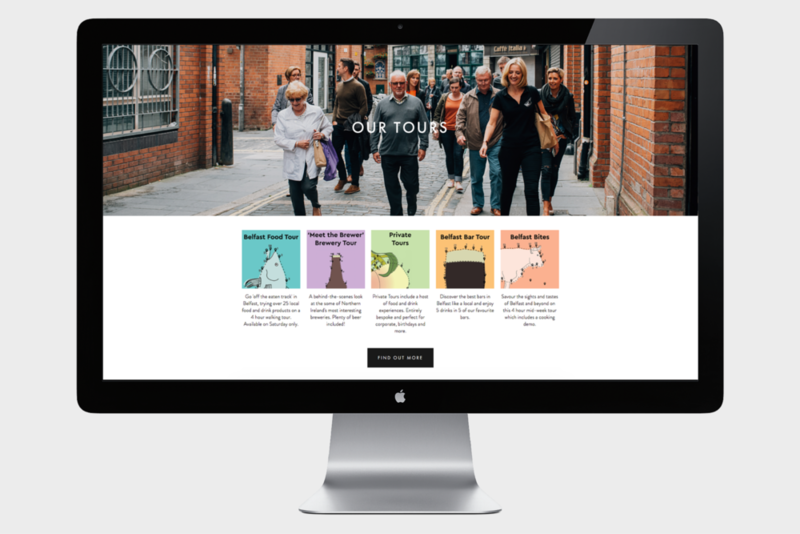 The aim of the new site was to showcase the range of tours Caroline provided and give potential customers a flavour of what to expect (pardon the pun). 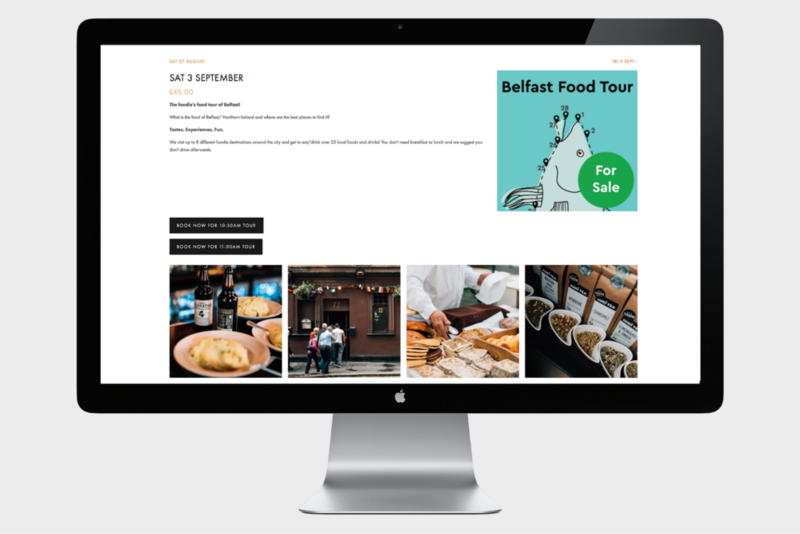 On first visit to the site, users are treated to a full width banner video which will autoplay and is a 30 second teaser of what users will experience on the award-winning Belfast Food tour. Caroline was happy using the booking platform Tito to process her tour tickets and gift voucher so we used an embedded link on each product page so she could keep using the platform she was happy with. The website homepage is updated through a custom social media collection, integrating multiple feeds from various platforms including Instagram, Twitter and TripAdvisor.